"The race is on," says Woebcken. 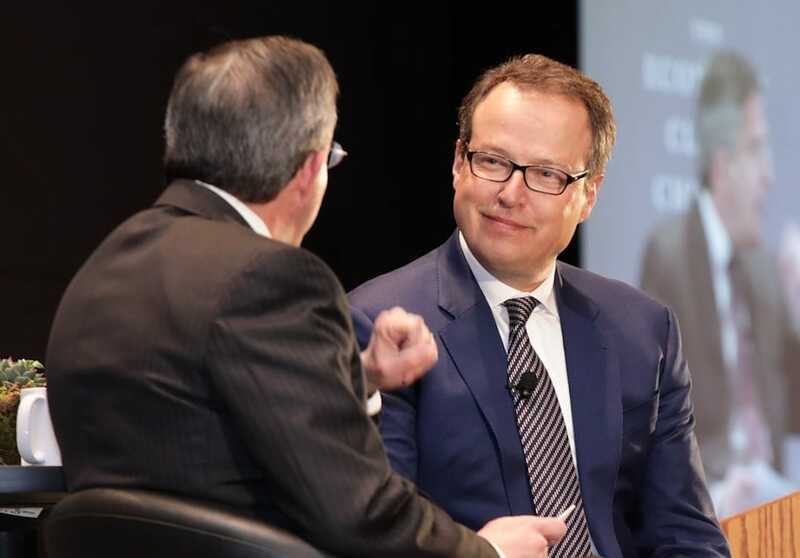 VW's U.S. chief Hinrich Woebcken told the Economic Club of Chicago that the company needed to "Americanize" to be successful. What doesn’t kill you makes you stronger, or so goes the old saw. And it just might apply to Volkswagen’s diesel emissions scandal, suggested the automaker’s North American chief executive, despite costing the automaker about $30 billion in penalties. 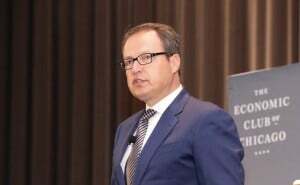 During a series of appearances at the Chicago Auto Show, Hinrich Woebcken noted that after taking an initial, sharp hit to its sales after admitting it rigged more than 500,000 diesel vehicles sold in the U.S., VW’s sales rebounded in 2017, climbing 5% even as the overall American car market fell nearly 2%. Its been doing that with a vengeance, last year attacking the biggest gap in its product line-up with the debut of the all-new Atlas, a three-year SUV, and the completely redesigned two-row Tiguan ute. VW had largely missed the biggest shift in the U.S. marketplace in decades, with light trucks accounting for barely a quarter of its sales in recent years compared to the nearly 65% for the industry overall in 2017. VW's Woebcken said the company needed to identify the wants of American buyers to improve sales. “We believe we will very soon have a 50 (percent) share,” Woebken said, revealing plans to add two more utility vehicles to the line-up by 2020. More broadly, the carmaker intends to launch at least “two major new products every year” through at least early in the coming decade, the executive said. That includes the redesigned Passat revealed last month at the North American International Auto Show, as well as the Arteon, a coupe-like sedan making its debut at the Chicago Auto Show this week. Arteon replaces the old CC model, though it is larger and more upscale. What it won’t be is more expensive, the CEO emphasized, promising that VW will no longer try to squeeze out “an extra $3,000 or $4,000 over our competitors” on the excuse that it’s the price for German engineering. There’s little doubt that Woebcken has been trying to shake things up since he landed in the U.S. two years ago, shortly after VW acknowledged that it had rigged two of its diesel engines to illegally pass emissions tests. Even before the scandal erupted, it was clear the carmaker had to rethink its strategy if it wanted to regain its once lofty position among import brands. But with the crisis erupting, “I had weeks, not months,” to come up with a strategy, Woebcken told one of his audiences in Chicago. Eliminating the price penalty for VW’s products was one of the steps he targeted. Another called for addressing the brand’s unwanted reputation for reliability problems and high operating costs. A key step was the introduction of the 6-year/72,000-mile People First Warranty. Woebcken noted the company is spending $2 billon on EV infrastructure. Behind the scenes, Woebcken lobbied VW headquarters in Germany to start tuning its products to reflect American needs and desires, rather than insisting U.S. buyers adapt their tastes to what Germany wanted to ship over. The executive is fond of recalling a meeting he had with his new team ahead of the debut of VW’s new three-row SUV. It was going to have “one of those tongue-twisting German names,” he said, but Woebcken was convinced it should get a name Americans could readily identify with. And a quick search revealed that the name, “Atlas,” was available. But finding the right balance, what Woebcken called “the sweet spot” of the market, will be critical if VW once again hopes to become a serious player in the U.S.
Volkswagen has turned its attention to electric vehicles, Woebcken noted. It certainly does have the muscle to put behind its push. The parent company was the second-largest global automotive manufacturer in 2017, narrowly falling behind the Renault-Nissan-Mitsubishi Alliance. But “we have the scale” to take the necessary steps, Woebcken declared. It’s far from certain VW can pull it off. A decade back it was posting significant sales gains, only to see its momentum falter and slip away. And its strategy for the U.S. has some particularly risky elements, notably the plan to launch two pure battery-electric vehicles – the ID Buzz microvan and ID Crozz sport-utility vehicle – by 2020. Several more are set to launch in the States by mid-decade. 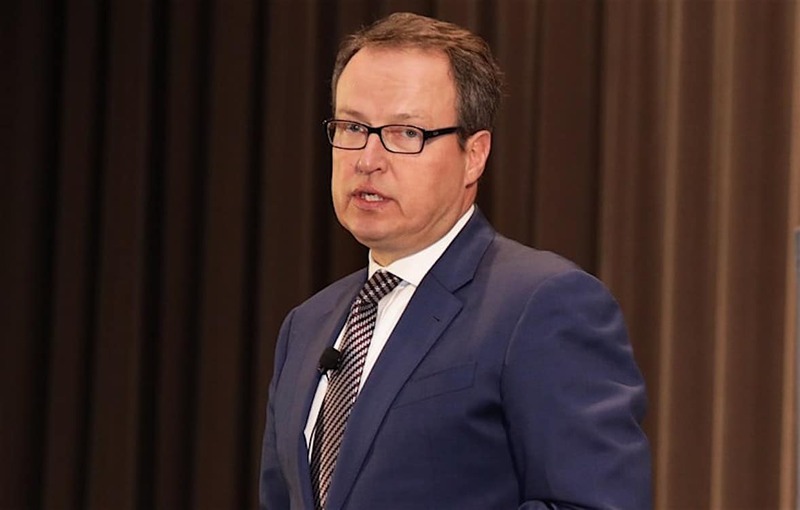 Woebcken was quick to acknowledge that demand for battery-based vehicles has been marginal, at best, but he is confident that, as costs come down and range goes up, sales will surge. VW is directly addressing a third part of the EV equation. As part of its settlement of the diesel scandal, it agreed to spend $2 billion to help create a national charging station infrastructure, something that will make it easier to replace gas and diesel vehicles with electrified models. 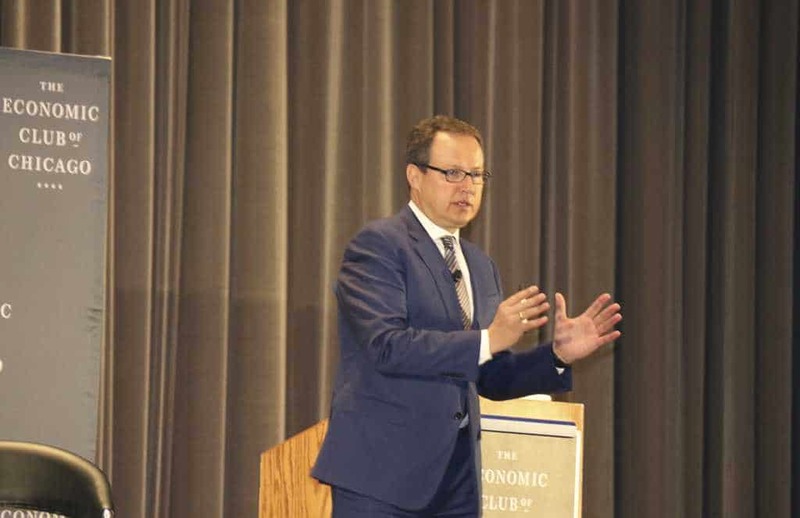 “The race is on,” Woebcken told Chicago business leaders as he concluded his Economic Club speech. Until recently, it looked like VW was going to pull up lame, possibly even drop out entirely. But it’s shown some surprising resilience and a willingness to get back in the race at a time when the auto industry is going through more change than it has in a century. This entry was posted on Friday, February 9th, 2018 at and is filed under Auto Shows, Automakers, Automobiles, Business, Chicago, EVs, Markets, NAFTA, U.S./North America, Volkswagen. You can follow any responses to this entry through the RSS 2.0 feed. Both comments and pings are currently closed.